The game is begin by a throw-up in the center circle. 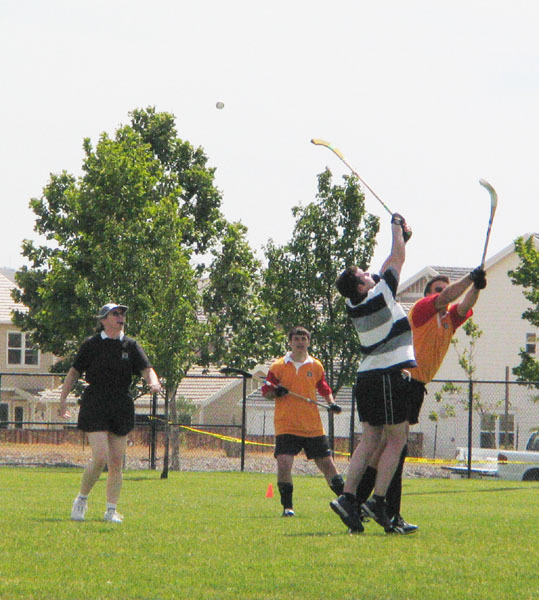 Two players (one from each team) stand facing each other (with the goals to their left and right) and crossing their camans, and referee throws the ball up between them. 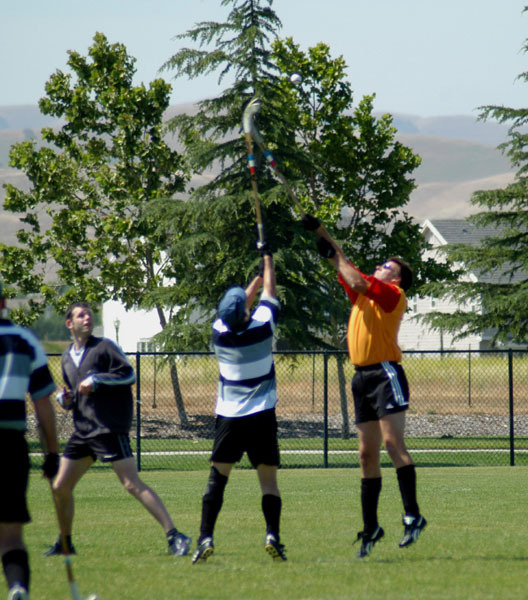 The players are not allowed to swing at the ball until it begins its downward journey, and they are not allowed to jump or move their feet at all until the ball is hit or hits the ground. You can see by the above photos that the rule is stretched to its limits!